Very rare in New Jersey, it is only known from a few northwestern counties. 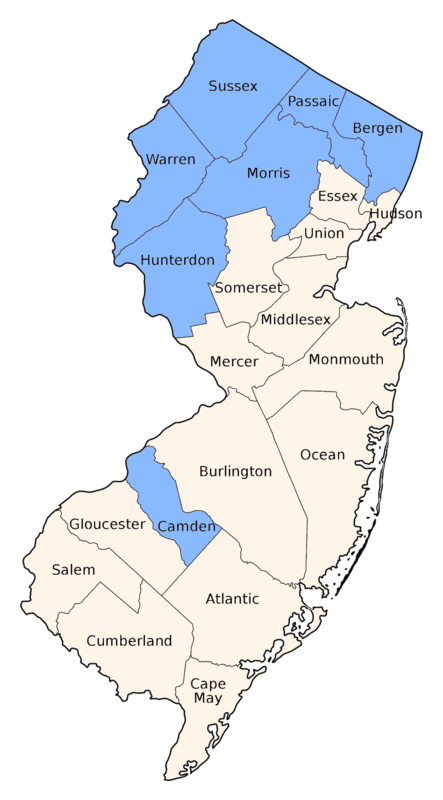 A Bergen County population is apparently extirpated. Found along small cold streams in forested areas. The males fly low slow patrols along shady streams, frequently hovering. 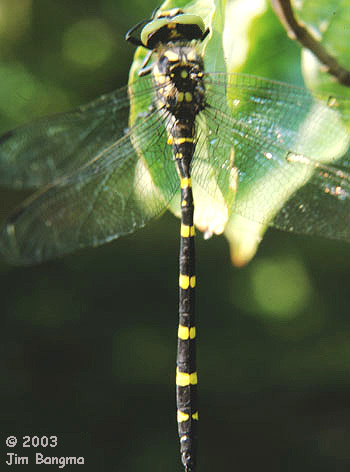 A large blackish dragonfly with green eyes, yellow thoracic stripes and bold yellow rings around the abdomen. 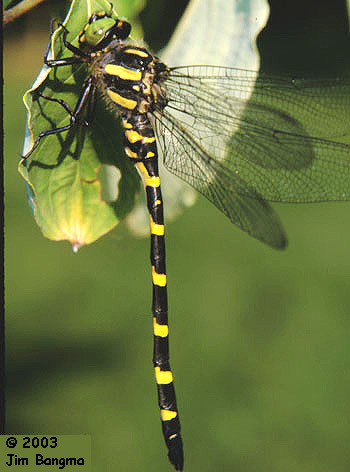 Twin-spotted Spiketail has rows of paired spots dorsally down the abdomen. 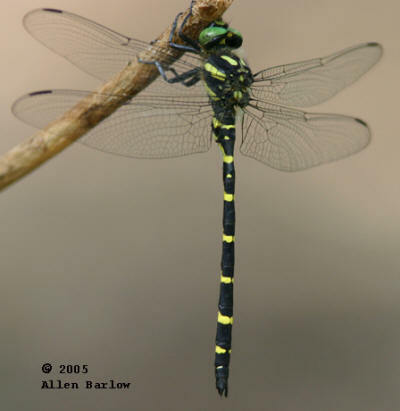 The uncommon Zebra Clubtail is found in different habitat, has an obviously clubbed abdomen and has smaller, less conspicuous yellow or green abdominal rings.